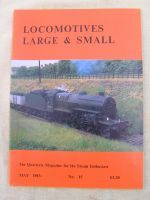 We hold in stock a large number of secondhand books, drawings and magazines including titles such as The Model Engineer and Practical Electrician, Engineering in Miniature, Locomotives Large and Small. Prices vary according to age and condition. 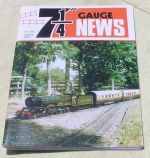 They are rare magazines published by Henry Greenly, featuring Basset Lowke and the model railways of Great Britain. 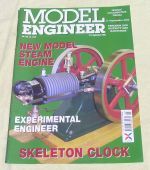 Again, we hold in stock a large number of unbound volumes and old issues all the way from issue 1 to the present day. We also stock some volumes in binders or hard bound as well as with printed indexes. New collections always sought. We also have some long runs in binders available. 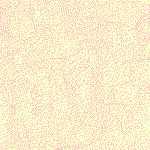 We hold in stock a large number of unbound volumes and past single issues all the way from issue 1 to the present day. We also have some volumes in binders or hard bound as well as with printed indexes. New collections always sought. Please enquire. Information will appear here shortly. 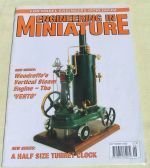 A very intresting mix of Full size, Narrow gauge, model and miniature railway engineering, designs, drawing and news.